Bhutan has pursued a holistic approach to development that includes the personal happiness of its citizens. Photo credit: ADB. Until the 1960s, Bhutan lacked telephones, an airport, hospitals, a postal service, and even a national currency. Since then, the country has witnessed considerable economic growth, diversification, and modernization, with major improvements in social indicators, communications, governance, and the standard of living. Firmly rooted in its culture and traditions, Bhutan obtained these gains through careful planning on its own terms. In the last half-century, the country has used its own barometer of Gross National Happiness, which emphasizes a holistic approach to development. "The essence of the philosophy of Gross National Happiness is the peace and happiness of our people and the security and sovereignty of the nation," states Bhutan’s Gross National Happiness Commission. ADB has been a partner on this path since 1982, and today ADB is Bhutan’s largest multilateral development partner. This partnership has helped the government achieve high rates of economic growth and poverty reduction and supported rural electrification, hydropower development, road improvements, urban infrastructure, social development, and development of the finance sector. With a challenging mountainous terrain and limited access to global markets, Bhutan has unlocked its hydropower potential to sustain growth. The sale of hydropower makes up about one-fifth of Bhutan’s gross domestic product. 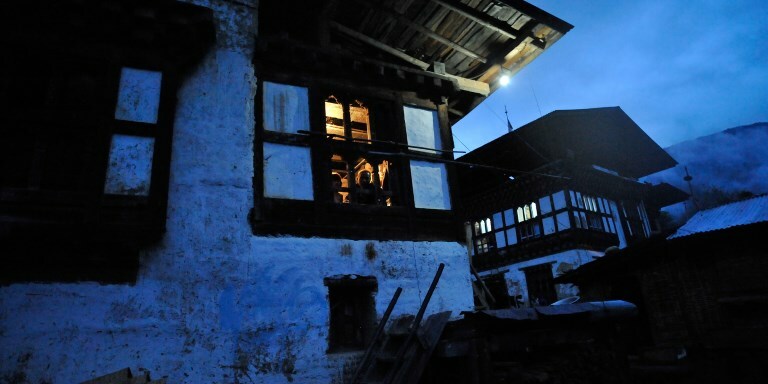 Bhutan is the only country in South Asia with surplus energy available for export. Its potential hydropower output is estimated at 30,000 megawatts, and only about 5% of that is developed. ADB helped finance the Dagachhu hydropower plant in the southern part of the country. The run-of-river plant began operating in 2015. The Dagachhu plant is the world’s first cross-border project to get carbon credits under the Clean Development Mechanism, a multilateral carbon market scheme that enables projects in developing countries to sell certified emission reduction credits, thereby generating additional revenue. It is also Bhutan’s first public–private partnership for infrastructure. In addition, the Dagachhu Hydropower Project, which is part of a Green Power Development Project, helped enable access to electricity for about 9,000 rural households and public facilities near the project site. The project also installed more than 100 solar power systems, generating energy for off-grid users including schools, health clinics, and other community facilities in isolated remote areas. "ADB has focused not only on helping produce energy for export but also on providing energy for people throughout Bhutan," says Bharat Tamong Yonzen, former managing director of the Bhutan Power Corporation. "ADB has been fundamental in providing assistance to the electrification program of Bhutan," he notes. "In that sense, nearly everyone in Bhutan is a beneficiary of ADB. They have touched the lives of everyone in the country who uses electricity." Since the 1980s, Bhutan’s economic growth has averaged nearly 8% per year. The country once had a per capita annual gross domestic product of about $50—the lowest in the world—and today it is more than $2,500. The country’s leaders have used this steady economic growth to improve the lives of the people of Bhutan. ADB has also supported a Health Care Reform Program, which has increased the availability of reproductive health services and expanded primary health care, with a particular focus on poorer women and children. This initiative was aided by the ADB-supported Bhutan Health Trust Fund, which helps manage the costs associated with providing affordable basic health care. Other financing assistance, as well as improved regulations and policies, helped spread health care across Bhutan. ADB. 2017. Bhutan: New Pathways to Growth. ADB. 2017. The Experience of Gross National Happiness as Development Framework. World Bank. 2017. The public/private wage differential in the land of gross national happiness. Gem Lao-Araya is ADB’s first Country Director of Bhutan Resident Mission of South Asia Department, assumed position in February 2017. Gem leads the planning, implementation, and supervision of the Bhutan Resident Mission’s vision, goals, strategies and work plan. She is the focal person for external and internal relations, coordination, and consultation initiatives of ADB’s operations in Bhutan. Gem, a national of Thailand, has more than 20 years of professional experience working on development and economic issues across the Asia-Pacific Region. Gem’s 16 years of ADB’s experience covers diverse work programs ranging from research, strategy, policy reforms, and country programming across several countries in ADB’s South Asia, Southeast Asia, East Asia, and the Pacific. Gem holds Doctorate and Master's degrees in Economics from the Indiana University, USA.